First African American to receive a PhD in Mathematics from the University of Michigan, making her the first known African American recipient(1949). 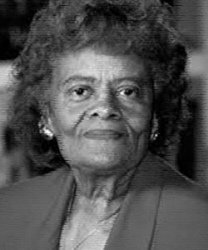 The Marjorie Lee Browne Colloquium was established in the University's Department of Mathematics, in observance of Martin Luther King Day (1999). The colloquium brings a distinguished speaker to campus to present a talk that highlights their research but also addresses the issue of diversity in the sciences. The Applied and Interdisciplinary Mathematic Program also has a Marjorie Lee Browne (MLB) Scholars Program.